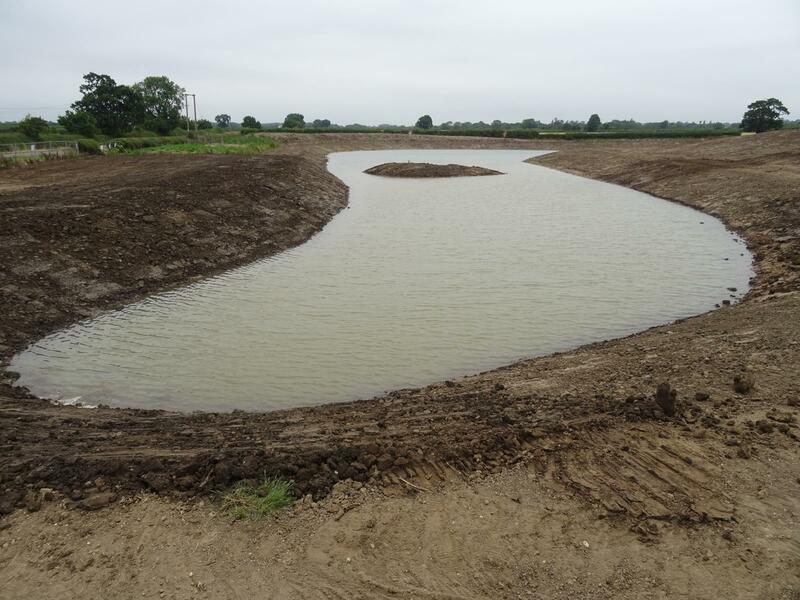 On August 14th the lake area adjacent to the Carlton Road was extended and the clay bank holding the water was removed. Immediately 14 ducks arrived along with 4 lapwings to inspect the work and take up residence! The water area of this lake is over 4700 square metres and together with the SSSI habitat we have 7000 square metres of water with sloping banks and shallows for the wildlife to enjoy, in addition to the marina basin itself. The banks and surrounding areas have now all been covered with topsoil and will be seeded later in the year.